Literature continues to influence discussion on human issues and their impacts on the society. The concerns it incites buttresses its perpetual relevance in assessing and reassessing the conditions of human existence, which rests with the re-evaluation of self by paying particular attention to the metamorphosis of the cosmos. It is in its womb that humanity finds its accord and the meaning that is often lost on the divide of Race, Religion, Culture and Ethnicity. Literatures by African writers have generated debates on issues that border on the place of the African (black) amongst the comity of global citizens by the old and new generation of writers. Although, these discourses in spite their large numbers have not fully answered the very intrinsic questions, neither have they provided absolute solutions that could have doused the quest by the newer generation of African writers, from continuing in the same fashion as their forebears. 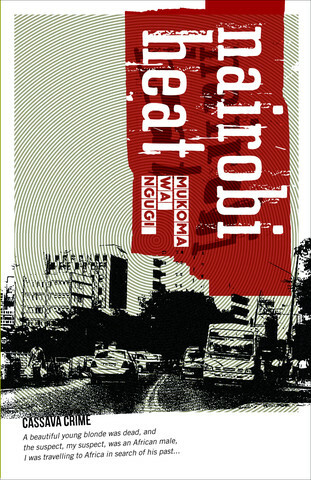 Mukoma Wa Ngugi’s Nairobi Heat is a crime fiction that engages the issues of race, crime and corruption which are the bane of Africa’s development. Nairobi Heat attempts to x-ray the life of a black detective caught in-between meeting the expectations of duty and personal honour, as he investigates a murder case in Africa. The narrator, Detective Ishmael is confronted with the ugly truth about the condition of Africa, his ancestry as he goes about seeking answers to the mystery behind the murder of a white girl, Mercy Jane Admanzah, whose corpse was found on the doorstep of a prominent black man, Joshua Hakizimana in America. The opening page to this crime fiction novel begins by highlighting the psychological dilemma that confronts Detective Ishmael and other African-Americans. The confusion of deciding where sits one’s true loyalty. Is it to the origin (Africa) that bore him or to the synthetic cultures that have groomed him? As if the author sets out on purpose to subdue the consciousness of the protagonist, a call to his telephone line as he tries to reconcile the murder and the suspect of the murder compounds his worries, which also ironically questions his emotional connection to his ancestry. The caller says. ‘‘If you want the truth, you must go to its source. The truth is in the past. Come to Nairobi’’ (P18) the caller invites him as if he was a family member reuniting with a lost brother, and as with everything, the call leads him to Africa; a place he has never really given attention to despite the truth that it was a part of his subconscious mind. The narrator indicts himself of not really having considered much of Africa as a part of him. Although, an innocent statement it would seem, upon sieving the message, it becomes a cause for concern, as it is a lamentation of the dilemma and retrogression that has continued to smear the continent. It was this type of irking narration that caused the African critic Charles Nnolim to posit somewhere in an essay that ‘‘African literature was lachrymal. It was a weeping literature, a literature of lamentation, following Africa’s experience with slavery and colonialism.’’ African literature has chiefly been occasioned by the consequences of colonialism; slavery and racial prejudice; this effect cannot be ignored no matter how hard contemporary writers would try to pretend about the realities that have become the definers of their literature. Mukoma Wa Ngugi’s is an affirmation that contemporary writers are still concerned with the realities of the past as a channel of x-raying the future. Detective Ishmael’s continuous self-assessment is an indication that for any human being to fully understand himself, he must engage in constant self-evaluation to find a deeper essence and meaning to his existence. Just as Nnolim posited, Nairobi Heat is a weeping literature whose protagonist — more than solving the murder mystery — is on a quest to solving his identity problem and fitting into his natural skin as an African albeit unconsciously. The issue of identity is a heavy burden on the shoulders of the protagonist as he constantly reminds himself of his blackness and the hypocrisy of the white folks towards black heroes who are never really given the chance to succeed in the first place. Therefore, any heroic act by a black man is considered a miracle by the whites. Even the appointment of the black Police Chief, Jackson Jordan in the story as explained by the narrator, bears the obvious hypocrisy. Jackson Jordan had been elected because he was tough on crime. That is, he was tough on black crime. I respected the Chief well enough to work under him, but it wasn’t always easy. He was liable to pander to politics, and I always followed the evidence to wherever it led-the cat selling two rocks by the corner liquor store or to the mayor or the governor himself. But like I said, I liked him well enough, and at the end of the day we all have a grudging respect for him. ‘Chief, I’m working this case alone,’ I said. Racism plays an integral part in the life of a black American as can clearly be seen by Ngugi’s’s depiction which betrays the hidden truth that civilization may not have totally erased the centuries old wounds secretly nursed by black Americans. The white man’s affection for the black man is just an aggrandisement of the superiority of his race and therefore, they see blacks as mere beneficiaries of their kind generosity. Here is what the narrator tells us about the favours of the whites. If the mayor says that he ‘trust the Chief of Police will do all in his power to ensure that the right thing is done,’ to the whites it means that the Chief won’t hesitate to hang a fellow black man if it comes down to it. To the blacks it means: don’t forget who owns the police. Firstly, in writing crime fiction novels, contemporary black writers are enacting a kind of literary-generic anachronism in order to comment on a distinct lack of progress regarding race within legal, penal and judicial systems in the US. The narrator does not pretend about his unfortunate position as a black cop in a white dominated system, his narrations are often times direct commentaries on the prejudiced justice system of the US and how it constantly reminds the black community of its inferior standing in the society. For example, this comment by the narrator reiterates the status quo and the reader cannot not help but absorb himself in the narrator’s sentiments. A young blonde woman was found murdered on the doorstep of a black man-an African. Of course it was going to be the story of the year. 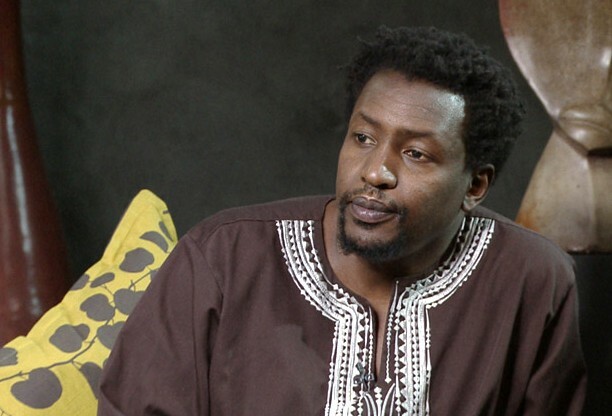 Ngugi’s Nairobi Heat is a re-evaluation of the inadequacies and prejudicial justice system of the USA. The black man is never truly a hero in the eyes of the white justice system. The exigency of the challenges is brought to bear in this crime fiction. Detective Ishmael’s passion and commitment to unravel the mystery of the murder of a white girl found on the door step of a black man is not as a direct result of professional demand but the demand of a discriminatory system that expects you to fail so your entire race could be derided, because of the failure of an individual black man. There are two key issues to be understudied in the character of Detective Ishmael; the first one is that, should he succeed in unravelling the mystery of the murder of the white girl, then he stands to be anointed by the whites with the award of being the rare ingenuity of black intellect, for finding justice for a murdered white girl. The second point is, should he fail by any means to succeed with the case, then the entire black race’s limping integrity stands in jeopardy. The failure of one black man is a collective. Nairobi Heat proposes a discourse and it is that, the black man is a perpetual wanderer surfing for the meaning he has refused to admit exists in his skin colour. But no matter how long it takes he must encounter the miracle that will reverse his inclination to white imperialism. Just as Detective Ishmael himself realises at the end, that finding true meaning one would have to return to the origin for answers. Nairobi Heat also proposes that, for blacks to genuinely find meaning they must reconnect with their root in order to find pure happiness in the nothingness that is everything they crave for. The Never Again Foundation and Refuge Centre’s operations in the story as unravelled by Detective Ishmael gives insight into the market of organised crimes and corruption in Africa perpetuated by the West. The foundation serves as a cover up for the criminal activities of multinational organizations perpetuated in Africa in the name of aiding its advancement. But amidst this ugly reality, these criminals are treated as though they are saints sent to redeem the continent. Through his depiction, Ngugi highlights the hypocrisy of the west shrouded by the supposed good intent of helping Africa develop through investment and intervention programmes that do not only benefit the corrupt elites but does very little in contributing to the improvement of the lives of the ordinary people. As always, for a crime to succeed, there must be an insider, who acts as a cover and in this story Joshua the supposed messiah and hero of the genocide established the Refuge Centre to cater for the victims of the war but in truth he is just a proxy in a business empire run through the Refugee Centre and The Never Again Foundation. Analysing the documents containing the criminal transactions of the Refugee Centre and the Never Again Foundation, Detective Ishmael discovers the politics of the corporate world and how western corporations short change the economy of Africa with Africans as accomplices, by not only evading taxes but by also deceiving the world in the guise of investing in charity organizations that generate returns to them. The irony of it all is that, political leaders who should protect the masses in most cases end up being part of the schemes that defraud the poor and under develop Africa. This passage explains the calculations in the scheme as revealed by the narrator. The crux of the intrigues recorded in Nairobi Heat supports the insinuation that Africa is a corporation set up and run by the criminal west and as such they determine what becomes of Africa and her citizens. It can as well be relayed that, Africa is a mortgaged continent, its survival rests squarely with the west and to cut away from this contraption, we will need genuine leaders with deeper sympathies towards Africa to cause her development. The crux of the dilemma however is the intricacy of corporate corruption which gives room to several players and creates a formidable system run through various business channels. For example, the involvement of Kokomat Supermarket which is a reputed company in Nairobi run by women whom, as the narration later reveals, were victims and later beneficiaries of the Refugee Centre and Never Again Foundation’s dirty scheme. One would then ask; what is the role of women in corruption in Africa? Are women not also vulnerable to the same eccentricities that their male counterparts are renowned for? Women are perhaps passive actors in the entire evil games. As Muddy, Detective Ishmael’s female friend puts it, “They are being paid to keep quiet about something’’ the women’s cases are always complicated. The fate that led the women who own Kokomat Supermarket to condescend to abating crimes that their consciences were strongly opposed to is one manipulated by their male folks. As victims and survivors of the genocide they are deceived by Joshua’s group to keep mute on their indiscreet operations. Of course the supermarket was set up with the bribe money they collected, negating the future doom that awaited them. According to the story Mary Karuhimbi is the leader of the female group that owns Kokomat Supermarket and in justifying their action she relays their ordeal to Detective Ishmael and O, his African partner. We are all from the same village. Survivors…But sometimes I am so numb that I do not (know) if I am still alive. Is there redemption in such suffering as ours? Can hell be any worse? Ah, can even heaven make all this worthwhile?” (17) The bitterness in her words cannot be mistaken even by the deaf. Nairobi Heat is by and large a crime fiction that documents and dramatizes the crimes on humanity perpetuated by supposed care givers who come in the forms of charity organization, and the role of government officials in aiding the concession of Africa’s future for selfish benefits that do not purchase for them armours against death. But like in the story, evil does not thrive forever, just as Joshua and Alexander meet their tragic end, so shall all who support evil in whatever form pass away. The story is told in the first person point of view and the narrator also serves as an intermediary as in several instances, he proffers commentaries on the state of the relationship between the blacks and whites. The events take place in the US, Nairobi and Rwanda. Mukoma Wa Ngugi, through the character of Detective Ishmael, informs Africa that a messiah is on the way to bring light and the knowledge that would salvage the continent and reposition it on the path of genuine development. 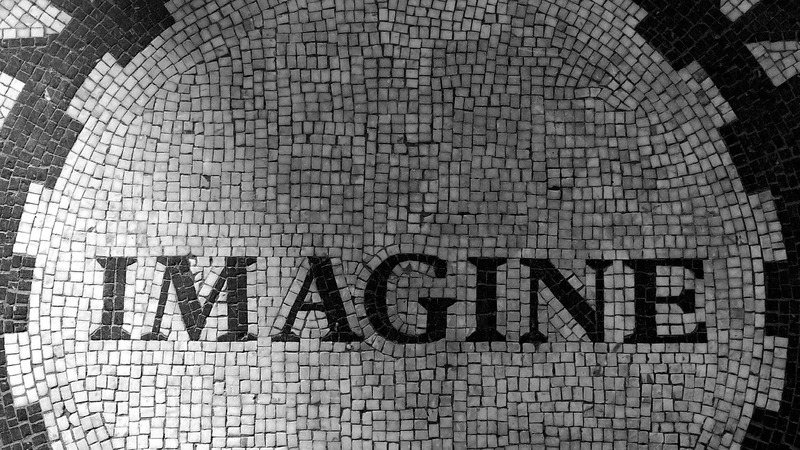 And that for us to find true meaning in life we must look to ourselves for it.